Bardot and Birkin made it the must have summer accessory. All these years later it’s still summer’s constant staple. 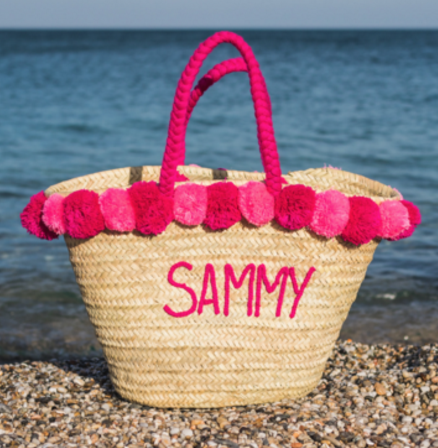 A good beach basket completes every outfit. In the South of France, London girls can be seen swinging their baskets along the Rivera with a chic monogrammed bag by Brit Brand Country Luxe. For Ibiza, neon colours are all the rage. 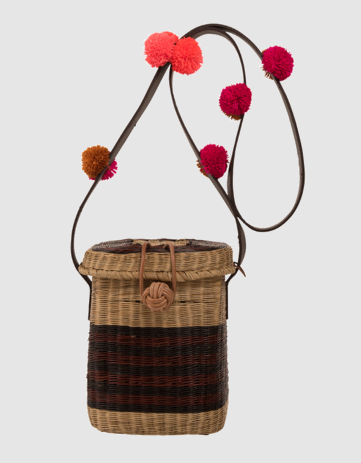 New brand Bom bom Morocco has launched their pom pom adorned baskets just in time. 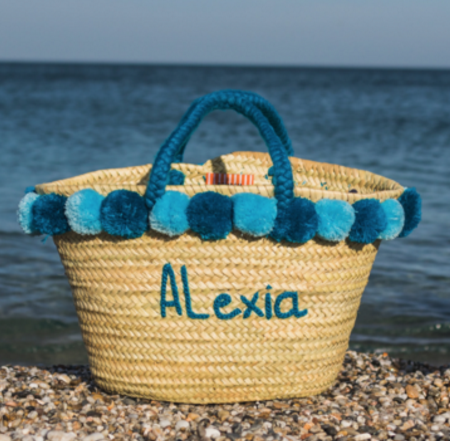 Hand made in Morocco you can have any message you want embroidered and choice of colour pom poms. 80 GBP for the large basket. 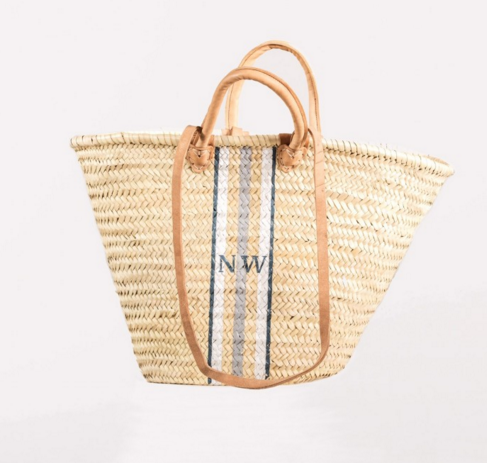 For Greece whether your sailing around Santorini or mooching around Mykonos this basket will take you day to night Sophie Anderson’s bag is all you need.